As an avid cyclist I often have to transport my bike to a location that’s beyond riding to. 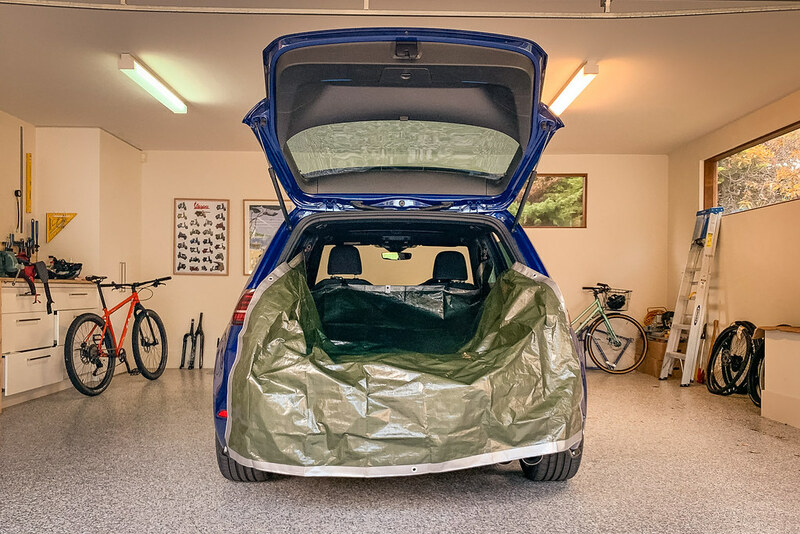 My preference is to avoid the bike-on-top-of-the-car option because I’m paranoid of driving into the garage and destroying the bike, racks, and the roof of the car. 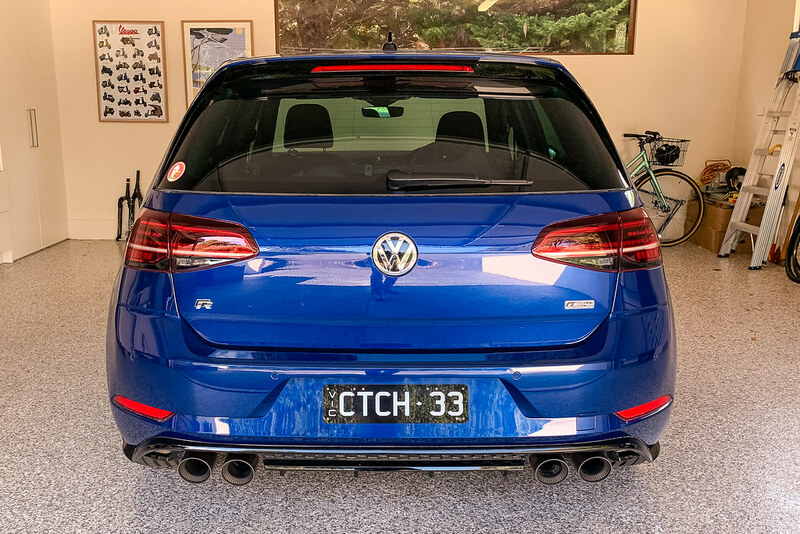 The Golf R doesn’t officially support adding a tow ball/hitch (although third-party option exist) so I had to get creative. Room for one (or two) more! The CarTarp 1000 has a couple of 10mm carabiners to hook over the head rest post attached to some of these Polytuf tarp clips from Bunnings. 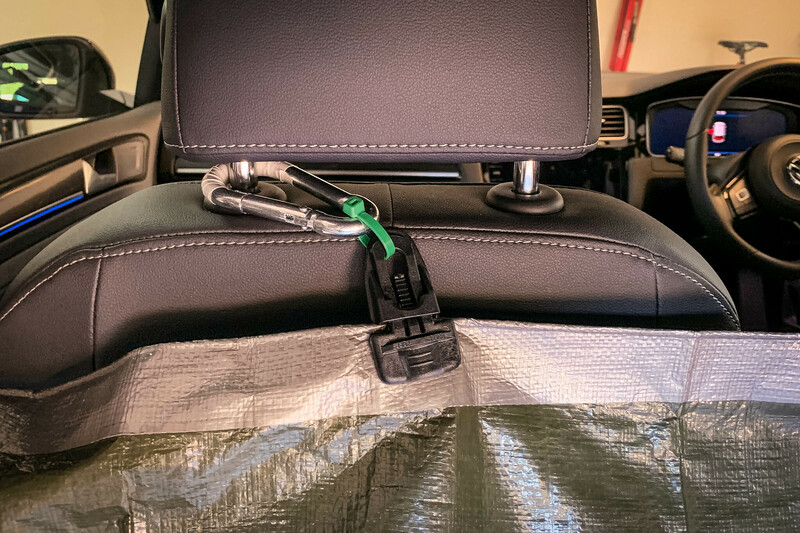 This combination works well: the clips hold the tarp securely and the carabiners are easy to clip on and off. Secondarily, there are a couple rope loops that hang from the little hooks behind the front doors. 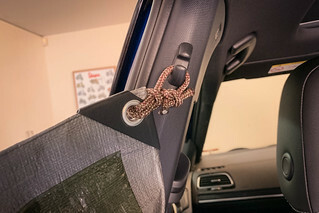 This is not ideal as they tend to slip off easily, but in reality having them hooked up impedes head checks on the driver side so that might be an innovation in disguise. Nevertheless they are handy to hold the tarp out of the way while stowing bags or beer other gear behind the front seats. 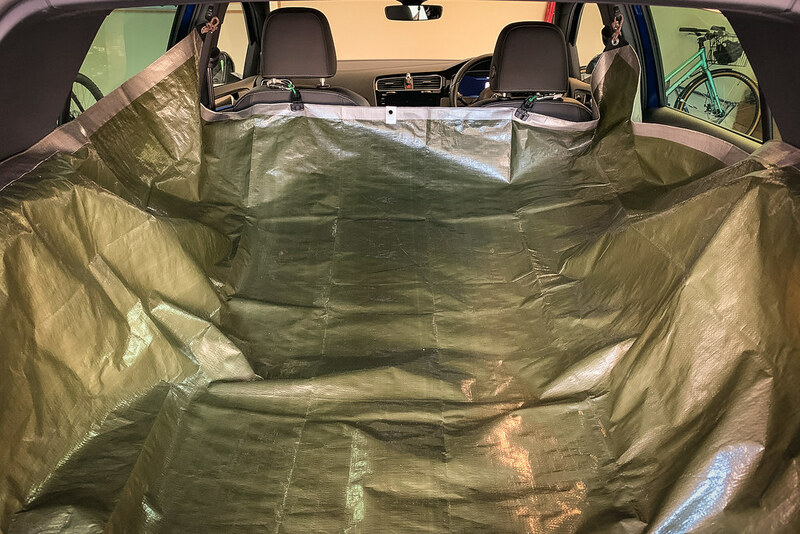 Another feature of CarTarp 1000 is the protective tail. 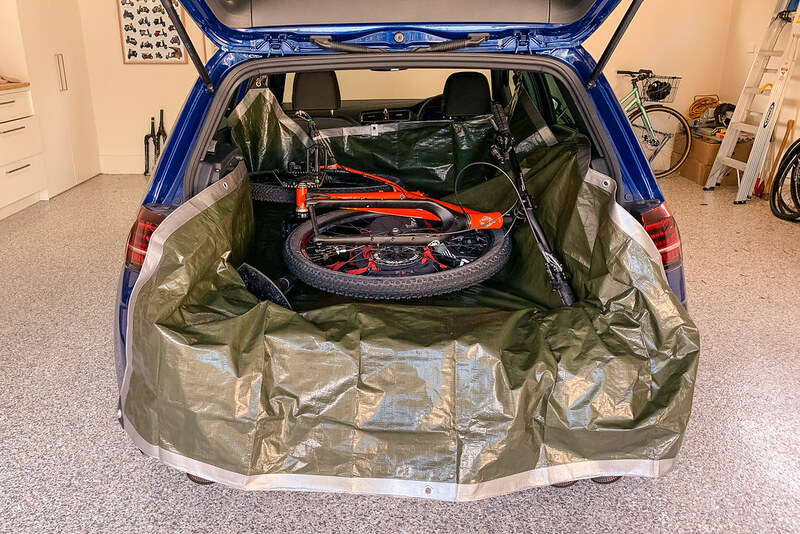 The Tarp is longer than the boot so it hangs over the rear bumper to protect the paint while you load/unload the bike/s. 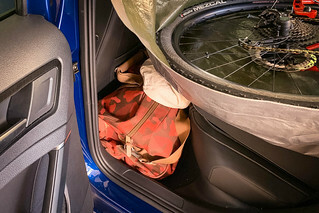 When packed, you flip the tail over the bike which then protects the inside of the hatch door. 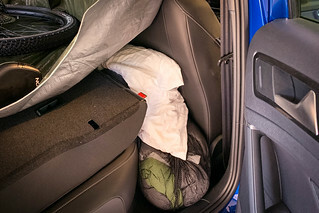 I also use an old blanket beneath The CarTarp 1000 as further protection. If I’m parking anywhere in addition to the ride location, I throw a blanket over the top of the bike to hide it from prying eyes. 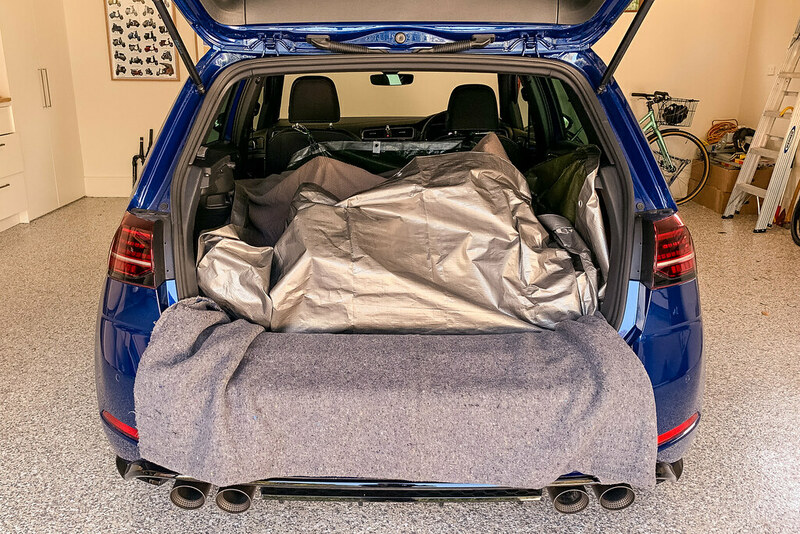 It’s surprising how much a loose blanket can hide the shape of a bike! Maybe add some velcro to the inside of the rear wheel wells so I can raise and secure the sides of the tarp at the back of the system.